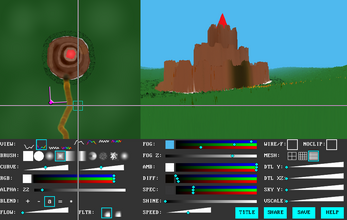 Vertex Meadow is a tool that renders 2D images as explorable 3D terrain. 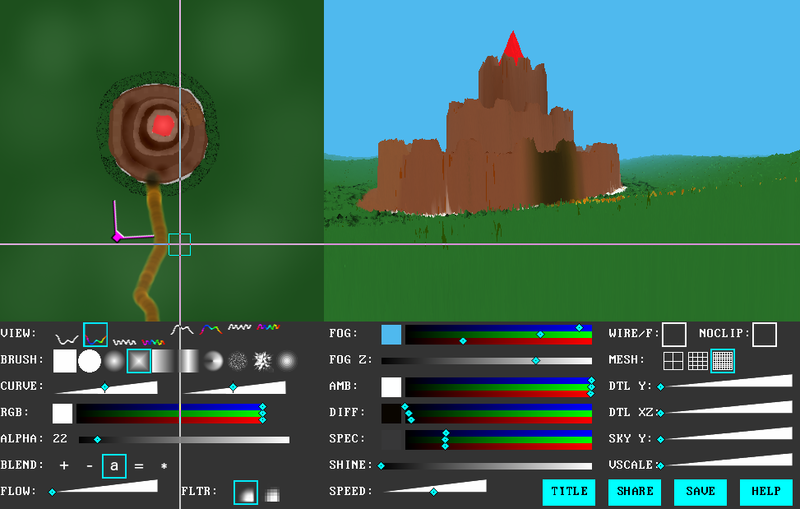 With it you can create detailed and unusual 3D environments to explore using a 2D paint program-like interface and your webcam. The tool runs in a browser using webgl and you can share your creations via URL. You can also chain together multiple levels by creating triggers in your level that cause the player's browser to jump to a URL of your choice. See the main site at www.vertexmeadow.xyz for examples and usage tips.